Transform yourself into the literal walking dead with the help of this gory zombie footwear! The Rotted Zombie Costume Feet will let you practice your undead shamble with the authentic look of a decomposing reanimated corpse. 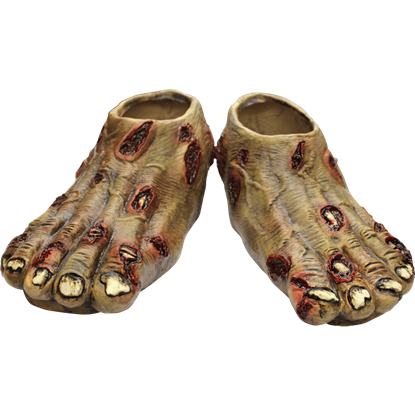 For a disturbingly impressive addition to a horrifying costume, look no further than these Rotted Zombie Cover Feet! Gruesome and ghoulish, these tattered and decaying appendages are suitable for a walk about town with the horde. 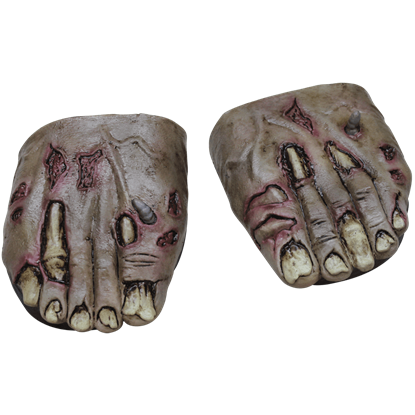 Practice your zombie shuffle this Halloween with these excellently detailed shoe covers on your feet! 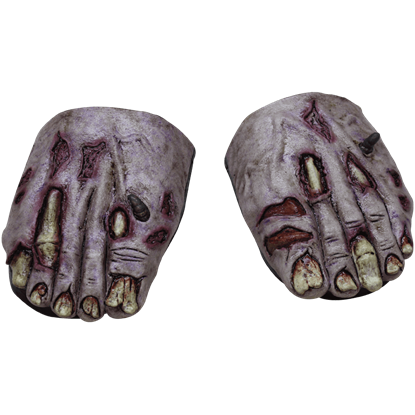 The Undead Zombie Costume Feet will transform your normal footwear into the rotting flesh of one of the grotesque walking dead. 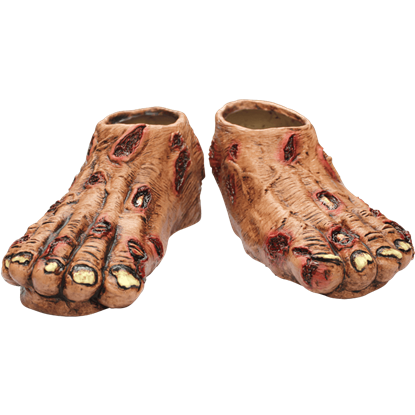 For a disturbingly impressive addition to a horrifying costume, look no further than these Undead Zombie Cover Feet! Gruesome and ghoulish, these tattered and decaying appendages are suitable for a walk about town with the horde. You can turn yourself into the literal walking dead this Halloween with this fantastic costume footwear! 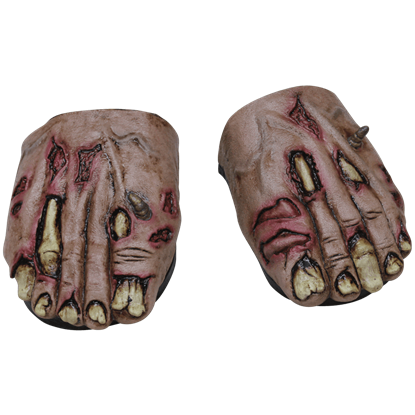 The Zombie Flesh Costume Feet display excellent details like bulging veins, jagged toenails, and gory scrapes and wounds. 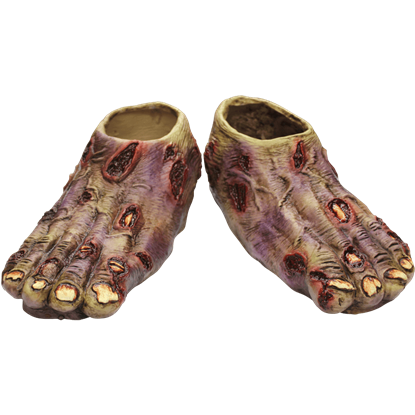 For a disturbingly impressive addition to a horrifying costume, look no further than these Zombie Flesh Cover Feet! Gruesome and ghoulish, these tattered and decaying appendages are suitable for a walk about town with the horde.